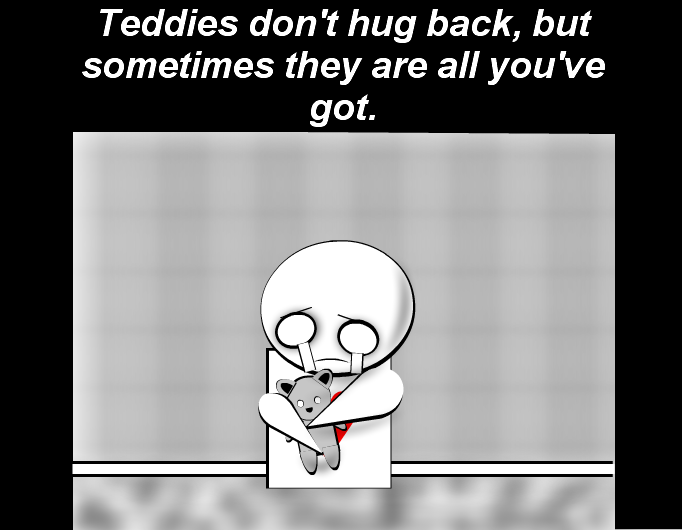 Teddies don't hug back, but sometimes they are all you've got. This is sad.. In a beautiful way.